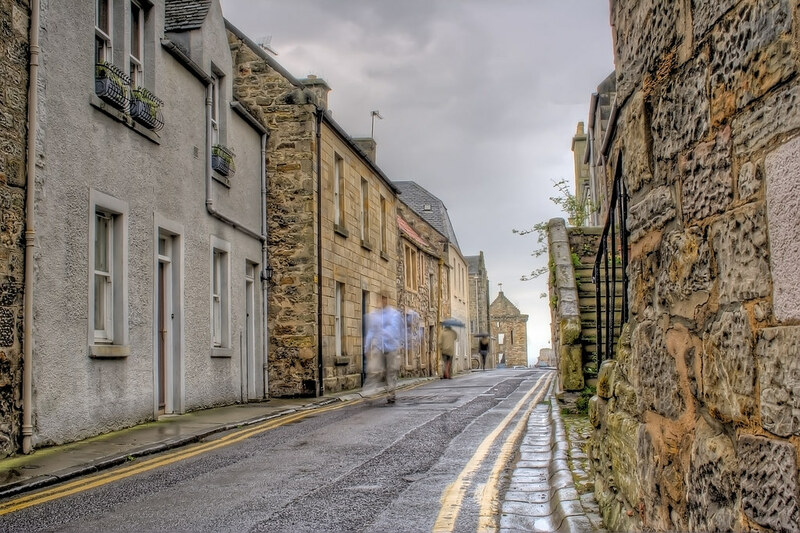 South Castle Street, St Andrews, looking North towards St Andrews Castle. HDR of 3 exposures taken on a wet and windy day in the town. I have this shot without the people in it but I kinda like the blury effect on the people the HDR process has created here. Opinions? This entry was posted in Scotland, St Andrews and tagged fife, hdr, Medieval, Scotland, scottish, skreid, St Andrews, street, town. Bookmark the permalink. They look like ghosts, stop trying to scare children who view your site!